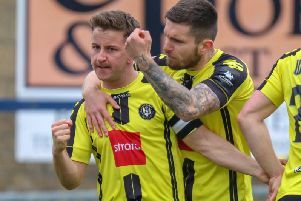 Harrogate Town secured a play-off place at the third attempt and a record high league finish with a comprehensive 5-0 victory over relegated Corby Town at the CNG Stadium. Needing a win to secure a top five place for the first time in ten years, Town extinguished any pre-match nerves in a remarkable opening 17 minutes. Two goals in the opening seven minutes from star man Brendon Daniels blew the basement boys away before Lloyd Kerry added a third with a neat finish. An own goal midway through the second period ended any hope for the visitors before substitute Jack Emmett put a seal on proceedings late on. Town will face AFC Fylde in the play-offs after the Coasters were held 2-2 at Worcester City on the final day of the season. The first leg will take place at the CNG Stadium on Wednesday night before Town head to the west coast on Sunday afternoon. Town knew a win against the Midlands side on the final day would clinch fourth place and a place in next week’s end of season play-offs. 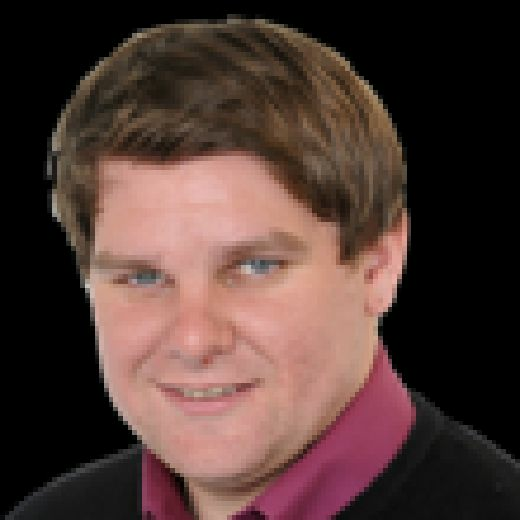 A draw or defeat would have given fifth-placed Boston United and Nuneaton Town, in sixth, a chance to usurp Town. However, after a brief hailstorm before kick-off, it was raining goals for Town in an electric start. On four minutes, Jordan Thewlis was brought down by Liam Marshall as he ran through on goal and Daniels converted the following spot-kick with comfort, sending Corby keeper Sam Donkin the wrong way. Donkin could do nothing about Daniels’ next effort too as Joe Colbeck’s corner was headed back to the winger and he cushioned home from eight yards. Peter Crook almost gifted the visitors a way back into the game as his clearance fell straight at Kalern Thomas’ feet and the Corby midfield watched his 45-yard effort bounce just wide. Greg Mills then forced Crook into a fine stop low down before the game was all-but sealed on 17 minutes. Corby’s defence had shipped a league high 88 goals prior to arriving at the CNG Stadium and it was all at sea again from Colbeck’s cross from the right. Daniels was left on his own as the ball went across the face of goal and instead of shooting from a tight angle, the winger laid it on a plate for Kerry to score his fourth of the season. Corby continued to show skill in attacking areas but their defensive frailty was breached again on 28 minutes as Paul Clayton rose well to head Joe Colbeck’s deep cross past Donkin, only to be denied by the linesman’s offside flag. That left a three-goal lead for the hosts at the interval, which Town were unable to add to in a quiet opening to the second period. Lewis Turner gave manager Weaver a worry ahead of the impending play-offs as he was forced off on 52 minutes, with tricky winger Jack Emmett replacing. Daniels came closest to extending the lead with a trademark set-piece which curled around the wall and struck the inside of the left-hand post. Both Thewlis and Emmett then kicked fresh air as the ball rebounded into the box. Weaver was able to rest targetman Paul Clayton on the hour mark with Ex-Burton Albion man Dom Knowles making a welcome return from illness. Corby’s threat diminished as the second period progressed, and their challenge was ended with 23 minutes remaining as a Daniels corner was diverted into the net by a visiting defender under pressure from Danny Ellis. On a rare appearance in Town’s final third, Ben Milnes then fizzed an effort wide from a short Corby free-kick. But in truth, the visitors caused Town little in the way of trouble in the second half and the impressive Town performance was rounded off in the 81st minute. Emmett ran through a gaping hole in Corby’s defence and shot into the corner from the edge of the box. The goal sent the 1,000-strong home crowd into raptures as Town gave themselves a chance of promotion to the highest tier of Non League football.